This flyer gives you the basic information about the virus, as well as seven steps towards what you can do to protect your home flock. This webinar covers many topics which will help educate people about the urgent need to protect chickens from the Avian Flu. Some topics include how the flu is spread, identifying the flu, and different types of avian flu which may affect your fowl and poultry population. You can help minimize the spread of Avian Influenza. By properly following these tips, such as placing hand-sanitizers at all entrances of buildings, you can help keep yourself and your chicken population healthy. 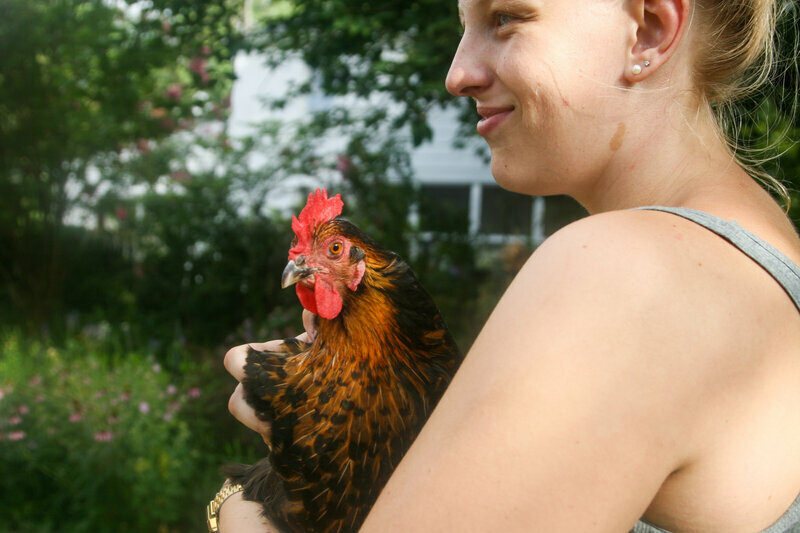 Chicken owners brood over CDC advice not to kiss and cuddle birds. A report on the engagement and/or dangers of chickens in your life. Avian influenza (AI), commonly referred to as “bird flu,” is a highly contagious viral disease that can cause sickness and death in domestic poultry. Avian influenza viruses rarely infect human beings, and the transmission from person to person of AI viruses has been rare and not sustained. If highly pathogenic forms (for birds) occur in commercial chicken or turkey operations, our international commerce of poultry products may be drastically affected. Therefore, it is to everyone’s advantage to be vigilant and protect against exposure to and infection by AI viruses. What can you do to protect your home flock? Do not co-mingle chickens and other poultry with waterfowl – either wild or domestic. Waterfowl are the natural hosts for AI viruses. Under favorable circumstances, they may profusely shed virus through their feces thereby contaminating surface waters and infecting nearby poultry. Waterfowl normally do not show illness; however, once poultry are infected, serious illness and death may occur. Counties adjacent to large bodies of water where migrating waterfowl tend to congregate are at greater risk. This includes Box Elder, Weber, Davis, Salt Lake, Tooele, Juab, and Utah counties. Keep all domestic poultry away from swamps, ditches and ponds. NEVER allow your chickens to have access to pond or ditch water. Provide clean chlorinated drinking water at all times – preferably from a culinary water source. Keep your chickens in an escape-proof enclosure, such as a backyard run, preferably covered with wire or netting. Do not visit neighbors’ chicken flocks, especially if they are known to be sick. Use dedicated footwear and outerwear when caring for the home flock. Leave boots and coveralls in an adjacent covered container between flock visits. Wash hands with soap and then disinfect before entering and leaving the flock. If you hunt waterfowl, it is absolutely necessary that hunting clothes, boots, and gloves do not come into contact with domestic poultry. Game should be dressed and cleaned in an area away from the flock, and entrails and feathers stored in a sealed container. Change clothes and wash and disinfect hands before going near the home flock. Immediately report any unexpected high mortality in a group of chickens or other domestic poultry to the Utah Department of Agriculture and Food: (801) 538-7100. Unusual wild bird/waterfowl die-offs are to immediately be reported to the Utah Division of Wildlife Resources: (801) 538-4700.